I love having plants around but I dont have a green thumb and almost all plants die in my balcony. It is actually my obsession with electronic screens and my lack of time to tend to and water my potted plants. The only plants which actually survive under my care are Aloe Vera plants and I have now decided to use only these plants to help freshen up the look of my home. Aloe vera is a very low maintenance plant as it requires sunlight but you can breathe easy with watering which can be done biweekly. There are many other plants and succulents which can survive little care but I choose aloe vera as I love harvesting fresh gel from this plant to use in my beauty routine. Aloe vera known as the lily of desert has lot of healing properties. Here are some fresh inspiration ideas and ways to decorate your home with Aloe vera plants and add some greenery to your space. 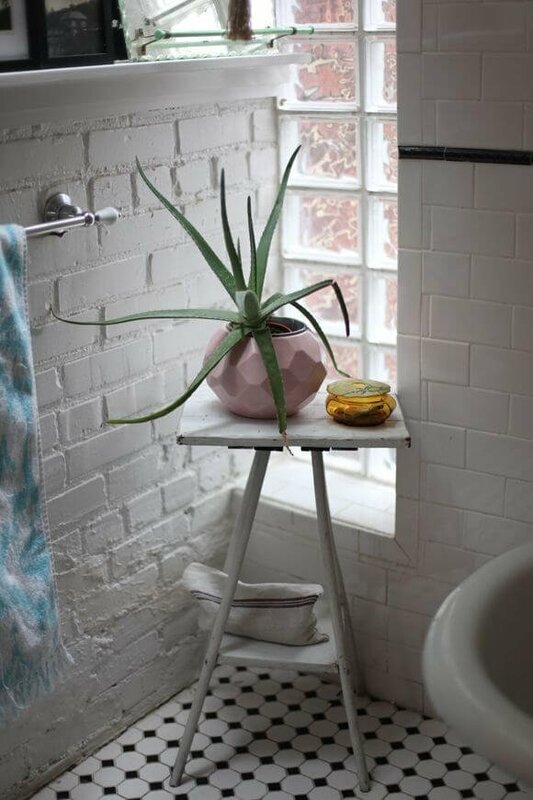 Create a refreshing corner in your home by putting an aloe vera pot on a stand instead of boring vases. Go for interesting pots for a modern feel but make sure the area gets some sunlight. 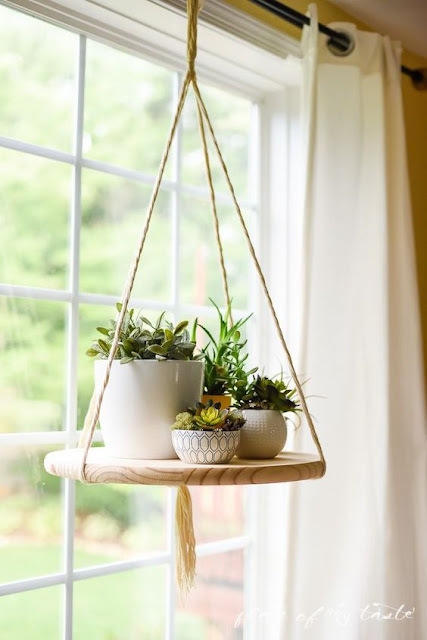 DIY your own rope planters and hang them near windows for your creative green area. 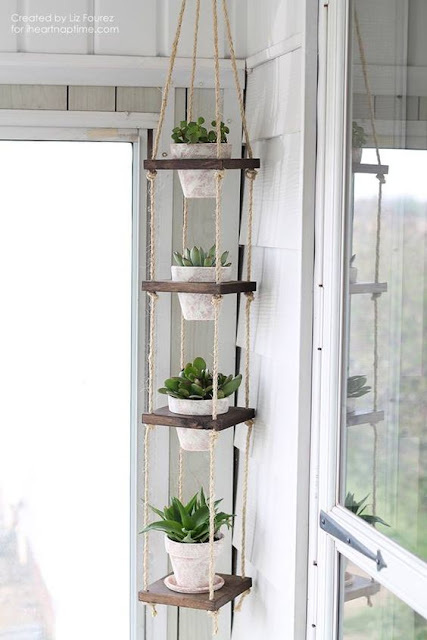 I suggest you do this rope planter thing near a kitchen window with a combination of herb plants like basil, methi and mint. Dont forget aloe vera at the top most section. If you love growing your own herbs this is an amazing way to do it and for beauty enthusiasts having an aloe vera plant near a kitchen means whipping up beauty packs gets more simpler. 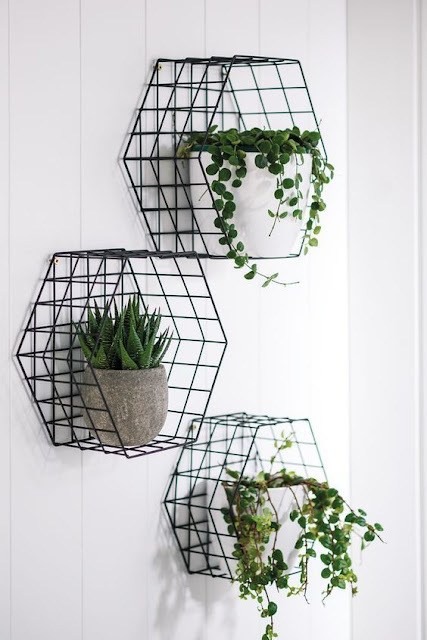 If rope hanger sounds very complicated then DIY a floating shelf for plants. Almost like a jhoola for your potted plants. 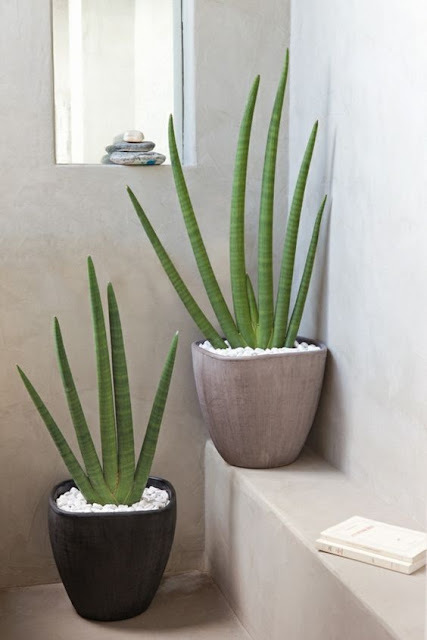 Aloe vera plants can live in steam of showers so they are goo for bathrooms which have natural light. Use geometric pots in your bathroom. 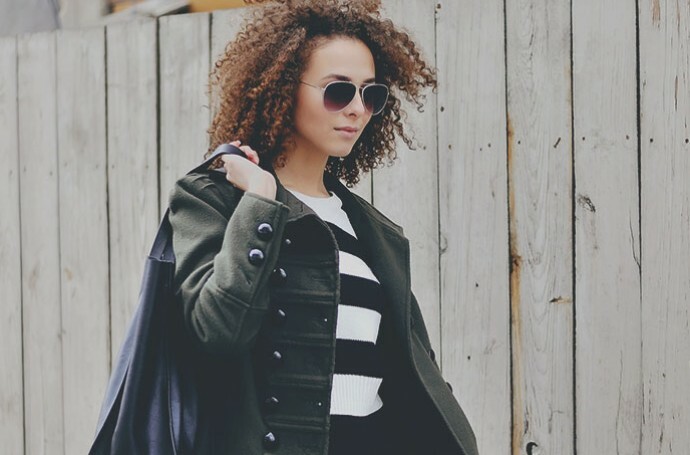 Put them on a stool for more height and character. 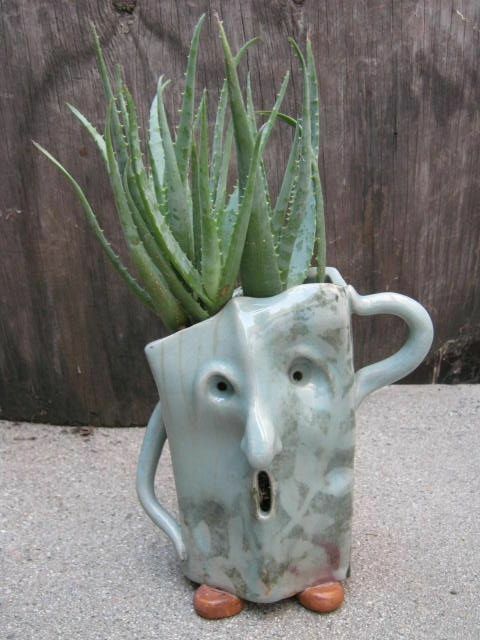 Go for interesting quirky pots to add drama to your aloe vera plants. You can even showcase your creative or artistic side by using self painted pots. 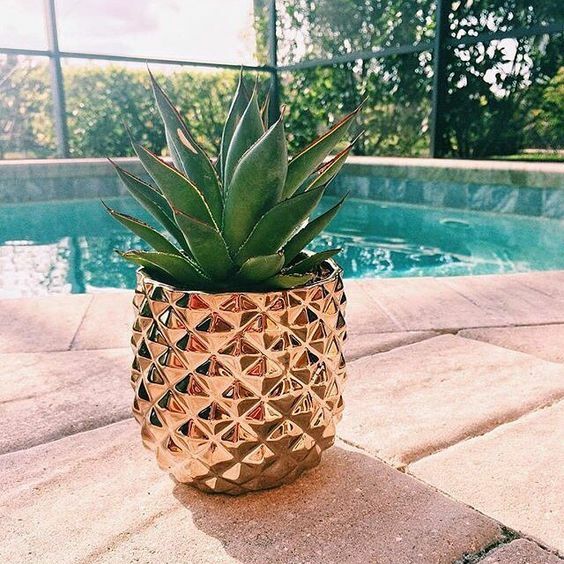 Metallic pots are so in trend. 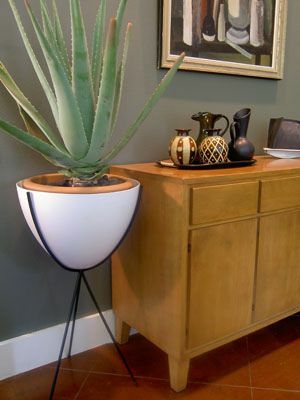 Use a huge decorative metallic pot for your aloe vera plant and let it grab all the attention. 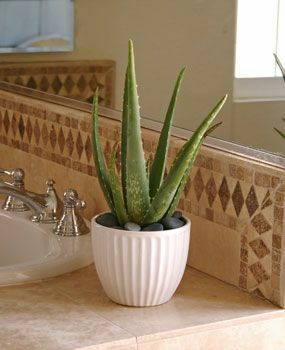 Add a green touch and some freshness to your kitchen by placing an aloe vera on the counter near the sink. Give your walls an artsy green touch. Go for circular framed planters to add aloe vera ro your home decor. 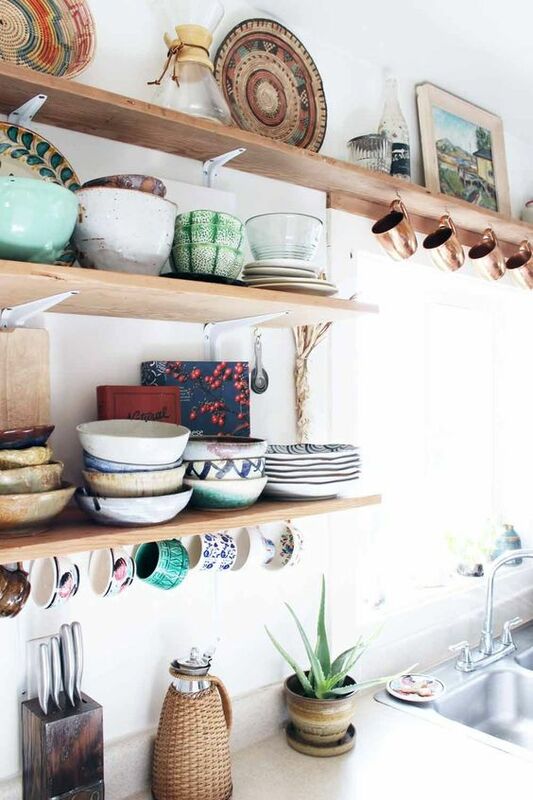 Wire wall shelves are also a great idea to display living art. Aloe vera plants are a nice alternate to art work. 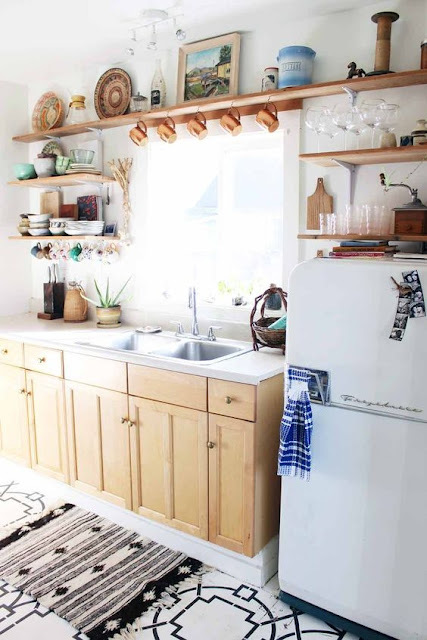 Bring the outdoors into your kitchen for a fresh green kitchen makeover. 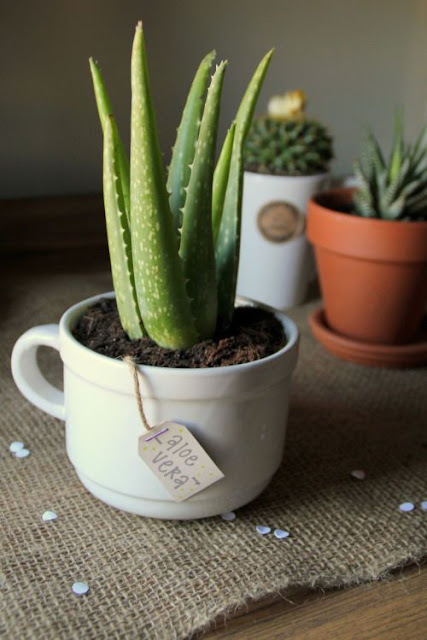 - Always place your aloe vera plant near a window because this plant requires some sunlight to grow. - Direct hot sun is also not very good for aloe vera plants if you plan to put them on terrace or in garden. The leaves will go yellow and the gel gets dried up. - You dont need any kind of fertilizers for aloe vera plants , just some well drained soil is enough. 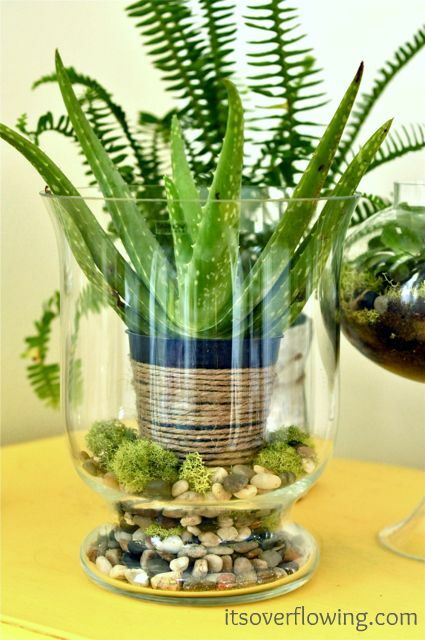 So are you ready to decorate your home with Aloe vera plants?